As Weatherford College celebrates its sesquicentennial, it is appropriate that we look not only to our past, but to our future as we explore the 21st century and academia. While most academic conferences tend to be very narrowly focused discipline-wise, it was determined that a broader, interdisciplinary approach would be of greatest value to the college and community. 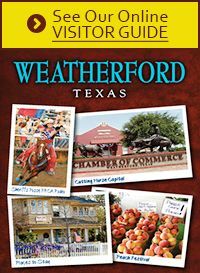 The types of presentations vary greatly in focus with hopes that the experience for attendees is educational, entertaining, and participatory.Don’t miss our guest speaker, Weatherford historian Jon R. Vandagriff, at 11 a.m. Friday as he presents a lively discussion on the history of Weatherford College.